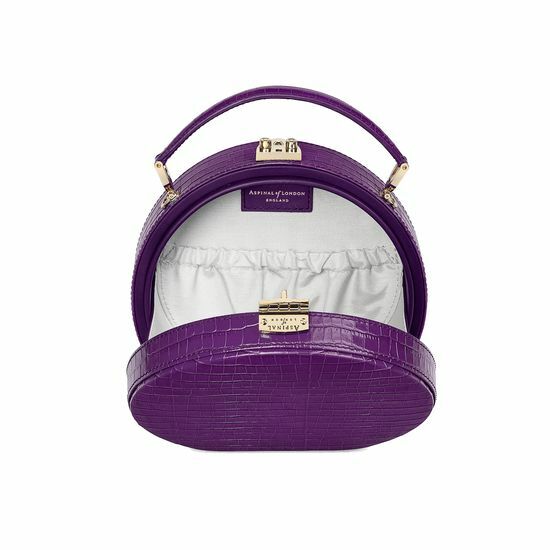 Our Mini Hat Box Bag is designed to emulate traditional hat boxes of a bygone era. 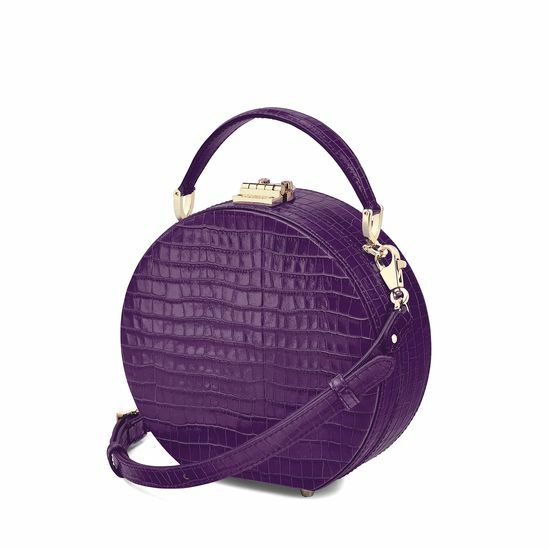 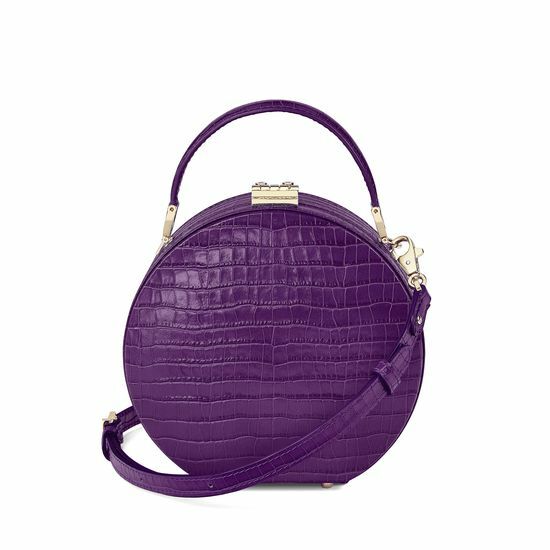 The vintage-inspired structure is hand-crafted from superior quality Italian calf leather in deep shine amethyst with a small croc print. 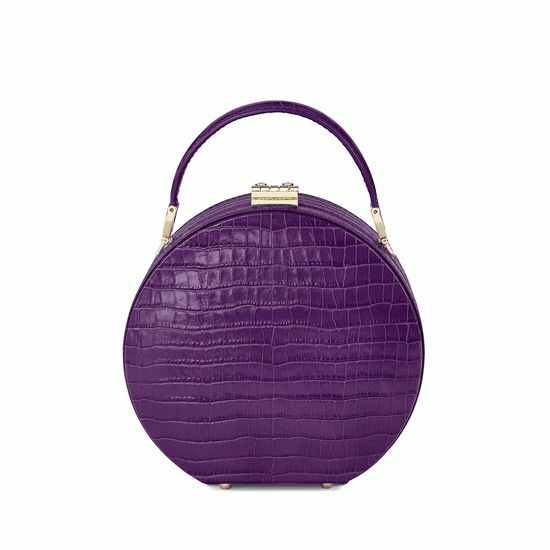 The circular silhouette features protective brass base feet and opens elegantly at the top with our signature Aspinal shield lock clasp closure. 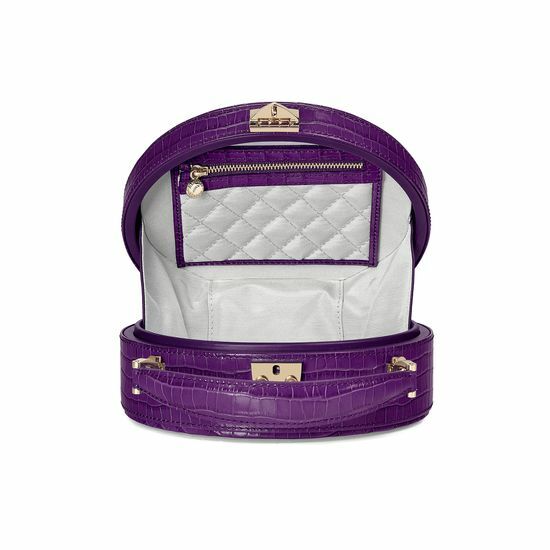 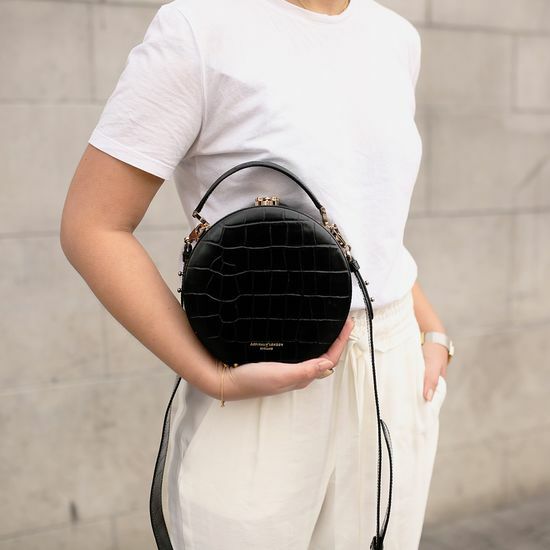 Lined in our shimmering grosgrain with a quilted zipped pocket and an open pouch, the luxurious main interior holds small essentials like a small purse, lipstick and car keys. 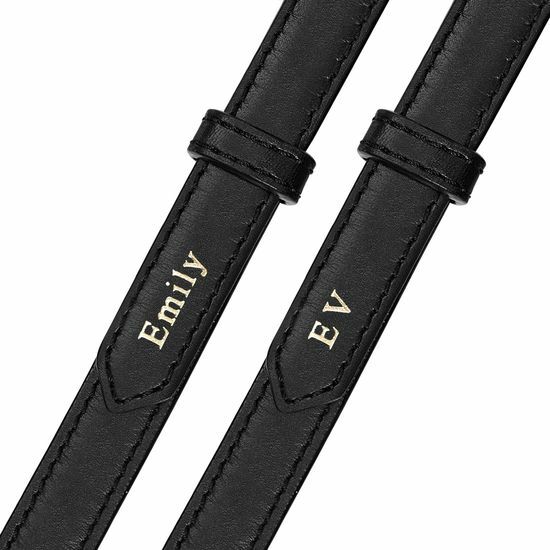 A detachable strap means you can wear it across the body or carry by hand using the top handle.